Poll: Verizon users - Will you ditch your BlackBerry for an iPhone 4? 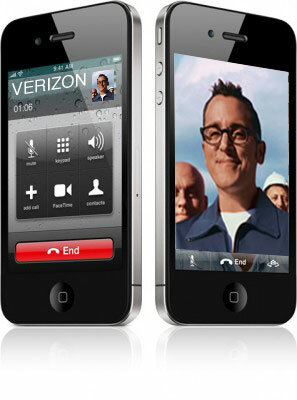 Well the announcement has finally come and Verizon will indeed be getting the iPhone 4. It's been a long time coming, but for some the long wait is finally over. Starting next month, Verizon users will be able to get their hands on an iPhone 4. With the latest addition, Verizon now has plenty of smartphones to choose from. BlackBerry, Android and iPhone are all available on Big Red so there is no lack of variety. Now that the iPhone has been announced - will you be holding onto your BlackBerry or ditching it in favor of an iPhone? Cast your vote in the poll above and let us know! If you are thinking about jumping ship for the Verizon iPhone, or you just want to keep up with the latest Verizon iPhone news, head over to our sister site TiPb for all the latest happenings.